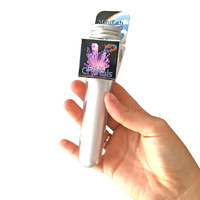 Growing Crystals Test Tube | Mad about science? Are you mad about science? It's a great weekend activity for the kids! Learn about chemistry as you grow the most dazzling crystals over 24 hours! 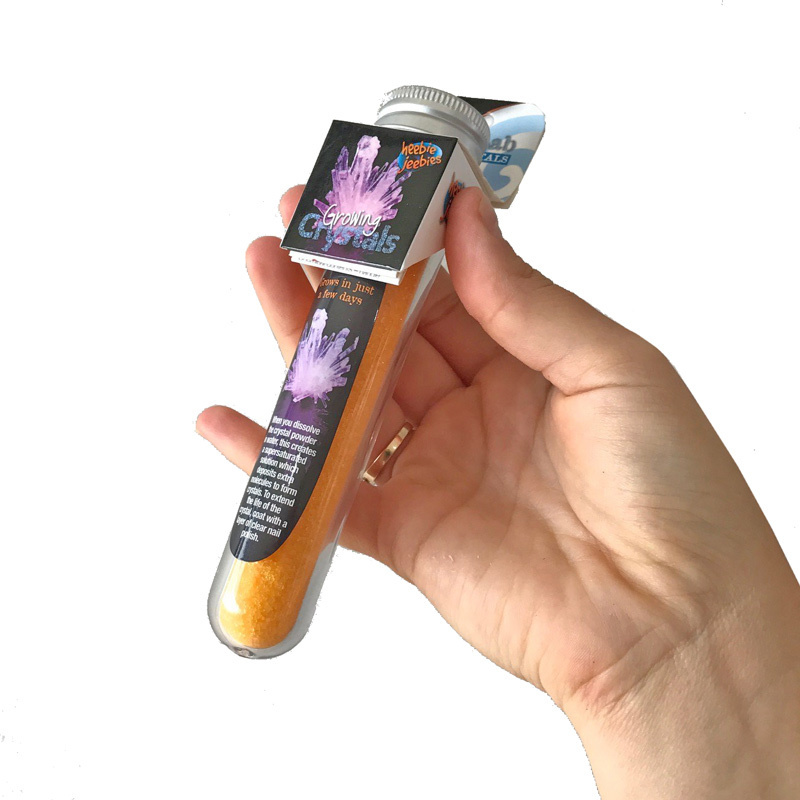 In this colourful kit, you will receive a test tube filled with crystal-growing powder in a colour chosen at random. 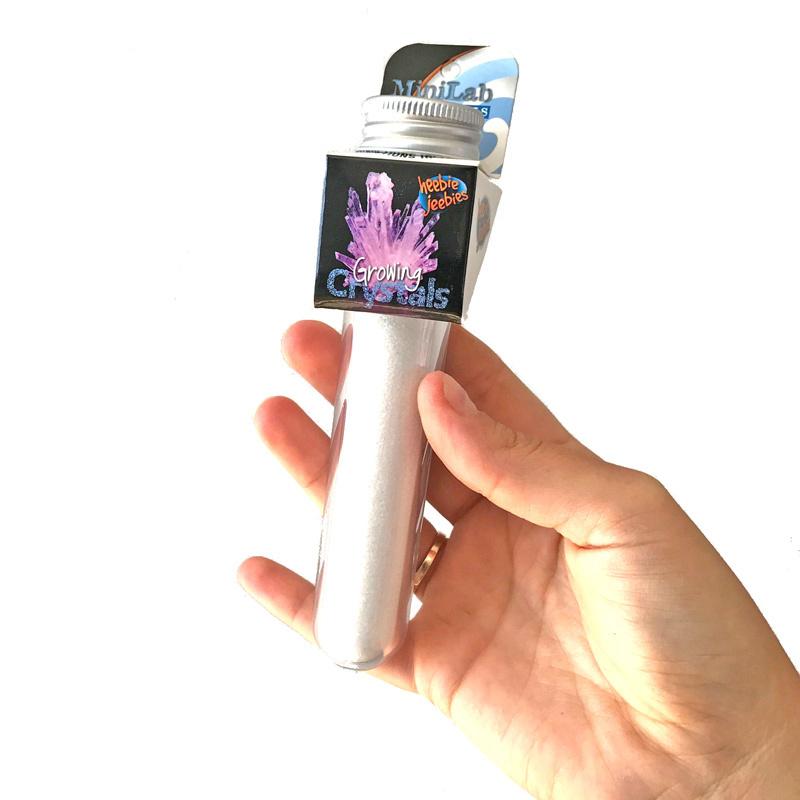 Follow the simple instructions and watch the magical crystals grow. 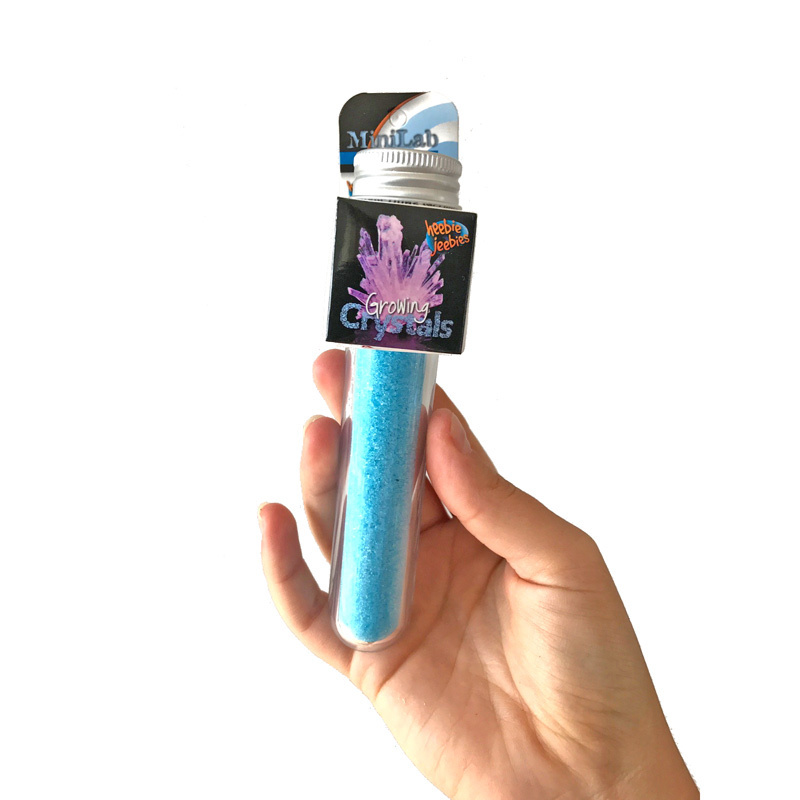 By adding the crystal powder to the correct liquid, a chemical reaction will occur. This create the effect of "growth", so it looks as though the crystals are alive, just like a plant! Watch as crystals form and create interesting shapes! It's the perfect afternoon activity or something for a quiet weekend. With more than one, you can even design a beautiful crystal garden! 1. Empty your tube of crystal powder into 50ml of boiling water in a clear glass or jar. 2. Stir the mixture for 10 minutes until the crystal powder has completely dissolved. Allow to cool. 3. When cooled, put the included crystal seed into the centre of the bottom of the container. 4. Cover the container with a lid and watch your crystal grow over the next few days. After 12- 24 hours, remove the lid. 5. Take the grown crystals out of the container and let them dry in the shade. To extend their life, coat with a layer of clear nail polish. What a wonderful idea for a birthday gift, or party bag accessory! 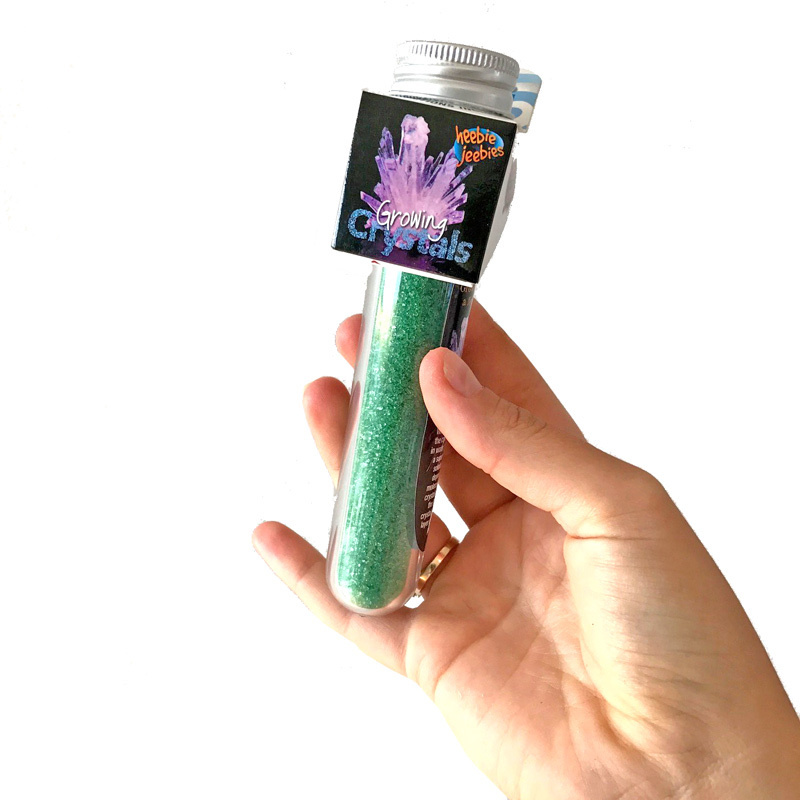 They'll discover how to make crystals with this mini crystal growing kit. Please note: A random colour will be selected for your order. If you have a colour preference, please make a note in your order comments and we'll do our best to fulfil you request based on availability.